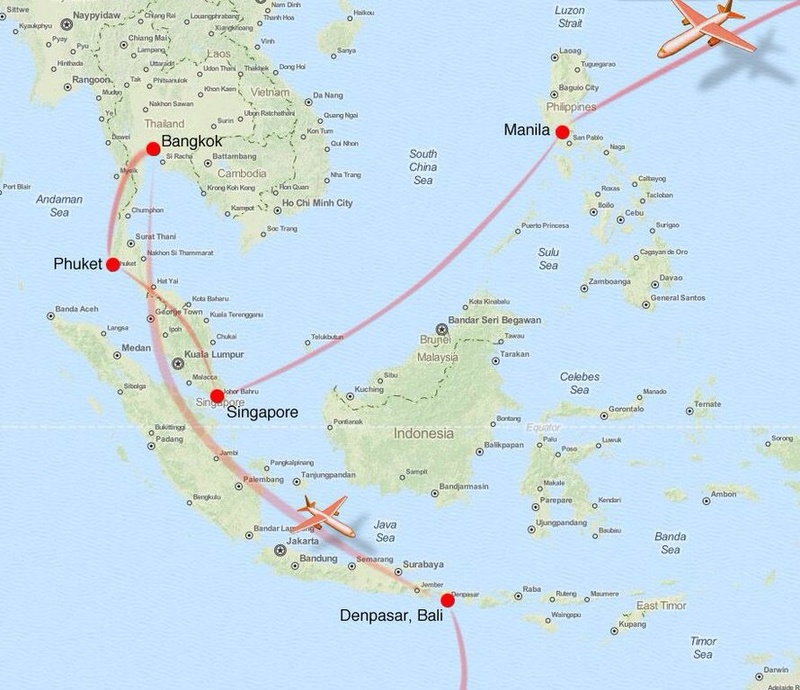 Flight paths for most of May. I realize now this map should have been posted earlier. Whoops! I will have to pull together my Manila info quickly. That part of the trip is wrapping up! Early day tomorrow. Catching a flight to Singapore where I will stay with my college roommate, Lisa Bartz and her husband Arnold 🙂 See you there! I know time flies… I can’t keep up w/the blog at all! If you check FB, I’ve posted photos of some beaches we visited so far. Just go directly to my page to find them cuz they’ll be in order. Tomorrow we go to Phi Phi island for a couple days. Should be pretty chill, I think?? !